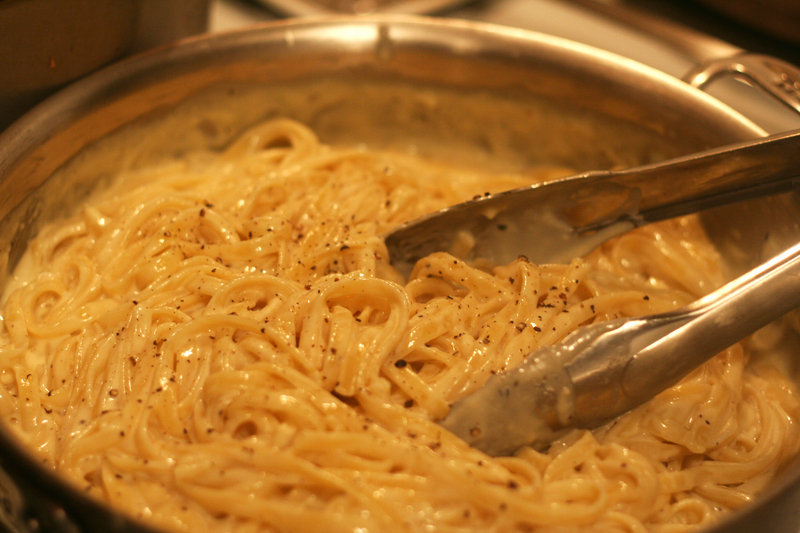 This insanely simple recipe had me kicking myself for not making homemade Alfredo earlier. 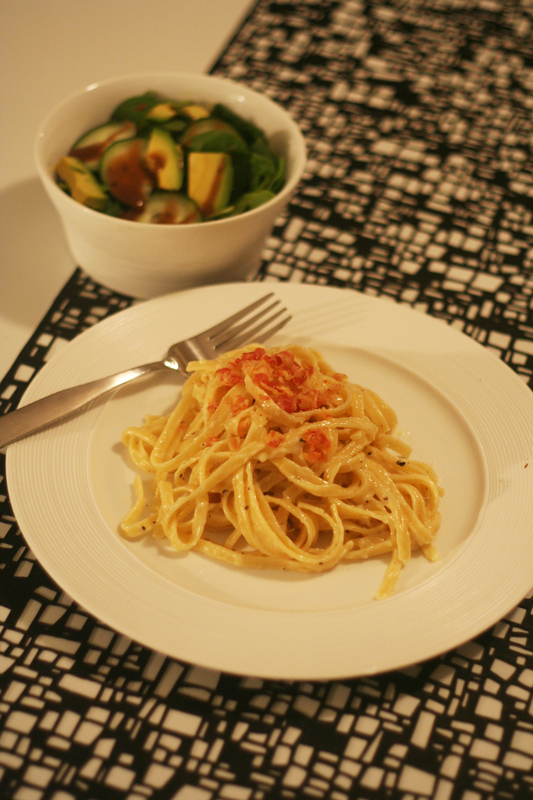 It took longer to cook the pasta then it did to make this amazing sauce! The jar of store-brought Alfredo in my cupboard is going to go bye-bye as this dish took less than 15 minutes to make homemade. 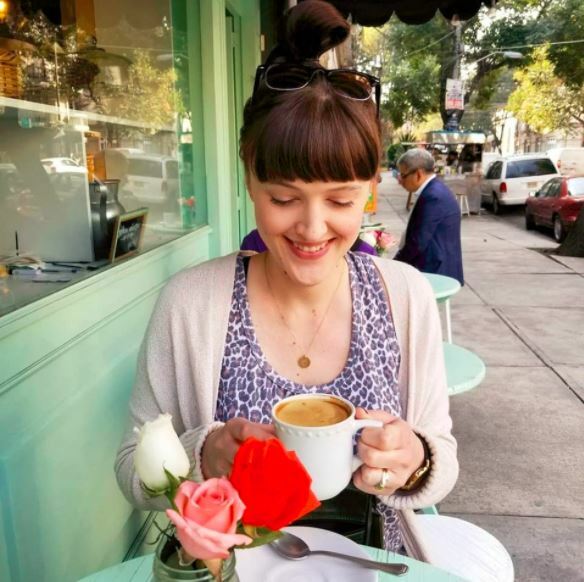 This is definitely now one of my favorite recipes, give it a try! Boil water to cook pasta until al dente. 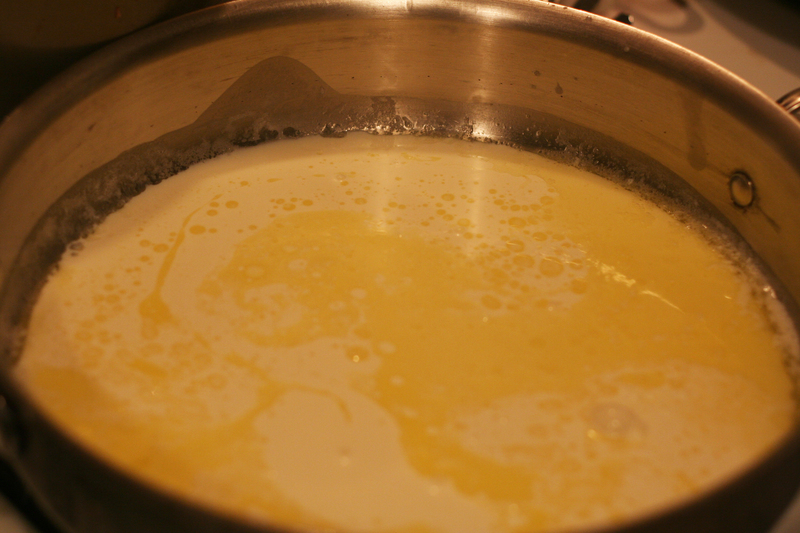 Melt butter in a medium saucepan over medium low heat. Add cream and simmer for 5 minutes. 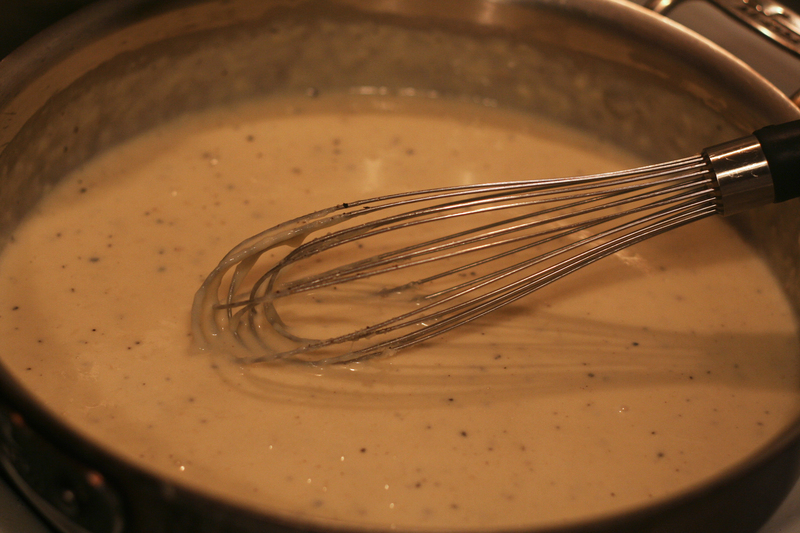 Add garlic, cheese, just a pinch of salt and fresh ground pepper, then whisk quickly, heating through. Stir in parsley if you’d like. Add the cooked and drained pasta to the pan and toss with sauce until coated well. 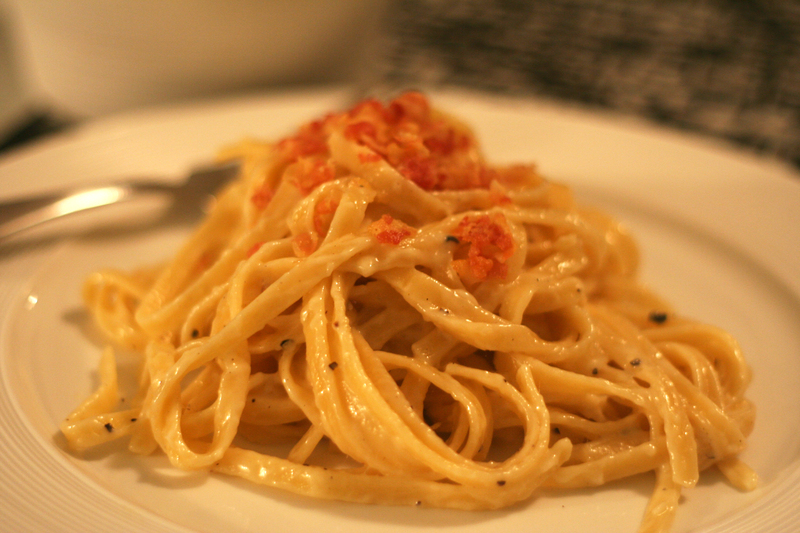 Then top with pancetta for extra deliciousness. Note that this recipe doesn’t make good leftovers (bummer, eh?) so be sure to eat when hot & just out of the pan!